Do you feel like you just can’t finish anything you start? Do you feel like you can’t even get started in the first place? You aren’t alone. 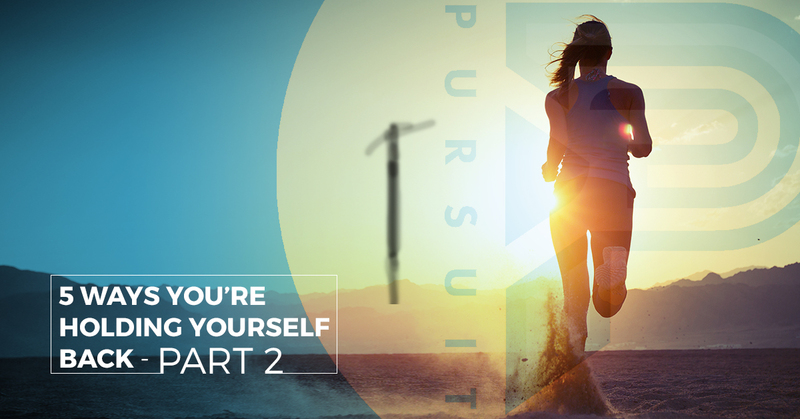 In our last blog, we discussed two ways we hold ourselves back and how to fix them. Today, we are finishing up with three common personal pitfalls. Do any of these sound familiar? Oh boy, do we know this one. It is the rare person who doesn’t have unfulfilled dreams and laundry lists of reasons why for each. When we get scared, it’s much easier to find the nearest hurdle then admit that you’re too scared to jump over it. Maybe you always wanted to be fit, but your dad has bad knees. Maybe you want to run a half marathon, but running shoes are too expensive. These are all excuses not to move forward. What are the dreams you’re hiding from? The FIX: As we said, we come up with excuses because we’re scared. We have to accept that we’re scared. After that, we can get clever and make plans around all the hurdles in front of us. Remember that you don’t have to do this alone; you can get help from experts. That is where our personal trainers come in: we want to understand the obstacles your brain throws in your face so that we can help you fight back! There’s this warped concept of humility that says you have to downplay your abilities and achievements whenever you’re put into the spotlight. Bragging is the fast track to getting a fat head and running into trouble, right? The problem with this is that we internalize the way we talk about ourselves. Cutting achievements and skills off at the knees is a form of self-violence. It should be avoided. It isn’t worth it when it comes to your reputation, either. Don’t believe us? Then here’s this: a majority of the people learning about you expect that you’re over-inflating your skills. So if you say you’re “okay” at something, they may think you’re actually terrible at it. What is our point? Being anything but honest is a waste of everyone’s energy and time. The FIX: Be sincere. Be upfront and honest. Be you, and stop performing for the audience in your head. Sometimes, this can feel like a culmination of all the other ways we hold ourselves back. The thing is, everyone has dreams and goals. If you’ve gotten used to simply admiring them wishfully, it’s time to stop. Stop looking at people who do achieve their goals and assuming they’re any more motivated than you are. The FIX: You might not know how to achieve all of your goals right now, but you probably know how to make a schedule. You probably know how to set an alarm. Think about the things you can do right now, and use them like tools to break down the bogus wall standing between you and your goals. Set aside a little time to work on your goal each day, and don’t worry about doing more. You will be amazed at what happens. Accountability and community are powerful allies when you’re pursuing a goal. Let our Windsor fitness gym help you out. Not only can we provide support, we have extensive knowledge to ensure that any effort you put in will be extremely effective. Learn more today!